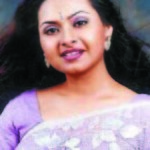 Dipa Khondokar is a popular actress of Bangladesh. Her husband’s name is Sayed Ali. She has a daughter. In past, her aim was to be a doctor. Her parents dream is to be a doctor. Dipa was also trying to be a doctor but she attends in An Air Plane as an airhostess. She won photo beauty contest. After winning the award, she started her performance in the media world. Dipa began her acting when he was five years old. She is acting more than one thousand dramas in twelve years. After that, she took two year rest when she was pregnant. She is most popular in television area. Her modeling and drama was most popular. Her famous dramas are Kaktoya, sonsoptak, Kothay kew nai, Moyaya, chalka, Kotha, Gahon Naongor and so on. She had performed twelve advertisements as a model. Lipton Tazza tea is the first advertisement of her television modeling. Besides modeling and acting, she is also a doctor.